We (well Jan is, I’m at home with my feet up – only joking!) are doing our last show of 2012 at RHS Wisley with Craft in Focus. These are always well run and the marquees this year are the best ever with solid walls (no flapping leaky canvas! ), as well as the usual solid floors and heating. Luxury! 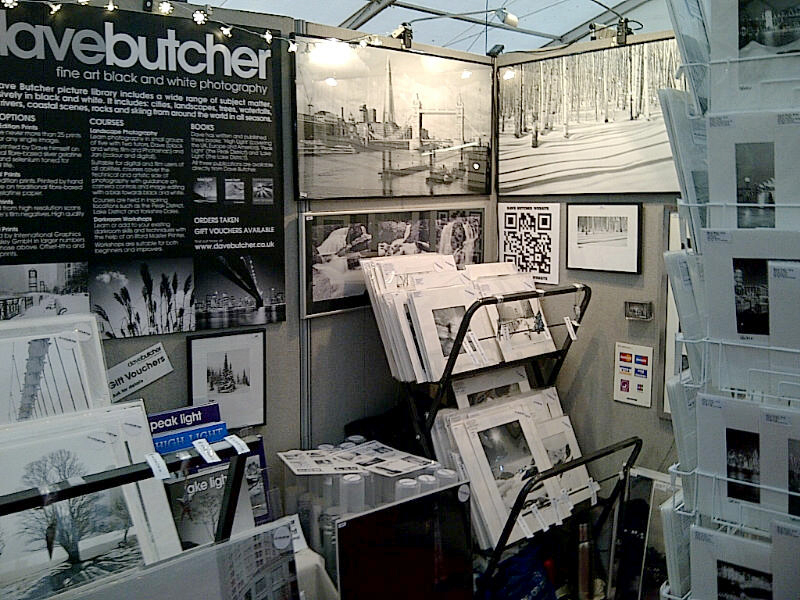 Jan is doing it on her own and sent me some pictures taken on her Blackberry, here is one of our stand. You can see one of the new London panoramics, of Tower Bridge, the Shard, Butlers Wharf and the Thames (taken from Wapping), is on show in a tasteful narrow black frame. The show is on until Sunday late afternoon. It has been busy so far, Jan has already sold one of the other London panoramics, fortunately she has a spare and a frame so managed to replace it. Lots more though. Free entry to RHS members.